“What on Earth is THAT mess?” Sparks always was such a sensitive soul. His six-three frame let him peer over my back gate. “Okay to enter? I didn’t want to be one of Biff’s snacks.” I interrupted typing ideas into my laptop long enough to cast a droll look at him. It would’ve qualified as beetling but I’d recently trimmed my eyebrows. 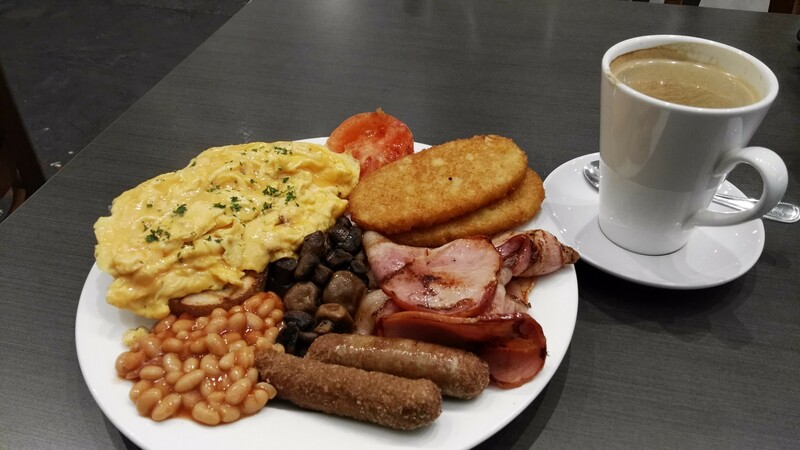 “If you happen to be referring to my plate, this is my breakfast.” Being unsnarky is an art, though I admit I was hard-pressed to resist a sarcasmic retort. Some folks just bring the sarc out in one. “Dude! You can’t even see the plate. What you got there could feed a family of four! Well, five if they’re on a low-protein diet . . .” The young deputy sheriff unlatched the hefty back gate and stepped in, latching it behind him. He helped himself to one of the cushioned swivel-rocking seats I keep on the back patio. Biff galloped up, skidding to a stop and waiting expectantly for the inevitable snack Sparks always seemed to have. 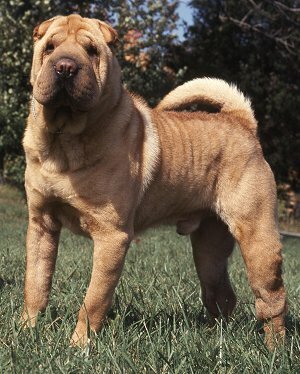 The powerfully-built Shar-pei was a beautiful shade of caramel, a heavily-muscled dog whose massive chest and squarish muzzle belied his goofy nature with those who knew him. He was the perfect match for me. I never had to worry about unwanted encroachment at my home; typical of his breed, my big pet let even acquaintances know: nobody gets past the Biffster unless I allow it. He’s not aloof; he’s just proud of his “DOG ON DUTY” sign. Sparks grinned as the dog nuzzled his hand until he finally pulled a small dog treat from his pocket. While he was distracted by Biff’s trying to con him out of another one, I struggled to reassert my creative juices enough to complete the thought I’d been developing. “Ah gaw thith edth, shawub madoes nam a uyuhs an murooms an sheez, wi—I stopped to swallow and suction up an approximate pint of coffee. “With toast and jay-lih.” I couldn’t entirely hide my half-smirk as I watched his eyebrows almost meet in his attempt to translate my stuffed-mouth dialect. We’d been through this drama enough times I’d have thought he was cured of asking questions of me when my mouth’s full. “Did you just mumble SIX eggs with whatever-whatever?” I was busy chewing. Nodding seemed prudent. I did. “Lemme get this straight. You’re, what, one-seventy, right?” The nod worked before. I tried it again. I was having too much satisfaction chewing. “And you’ve stayed at that weight for how long?” Rats. A nod wasn’t going to work. I wagged my head, exaggerating my chewing. I did hold up my left forefinger, signaling I’d heard the question. There are some foods so delicious it’s a pity one can’t swallow them twice. “Fifteen years.” Did I mention I love that Tabasco brand milder jalapeno sauce? And this locally-baked Stone Hearth Rustic bread? With blackberry jam? “You h—” For one of the few times in the years I’d known this younger man, he was speechless. Again, I nodded. We spent several hours enjoying the kind of visit only good, close friends can have. Yet after he’d had to leave in response to a call, I mentally replayed the assessing look he gave me. It was yet another lesson we all must learn as we travel along on this journey God’s laid out before us. Not everything that at first looks like a blessing turns out to be one. One Response to Granger – 4/24/18: YOU GONNA EAT ALL THAT?